News: Capela mustered seven points (3-4 FG, 1-3 FT), 10 rebounds, one assist, three blocks and one steal across 29 minutes during the Rockets' 118-98 win over the Jazz in Game 2 of their Western Conference first-round playoff series Wednesday. Impact: Capela was minimally involved on the offensive end after putting up 13 shot attempts in Game 1, but he helped make up for it with another double-digit rebounding effort and a trio of rejections. The 24-year-old big was a defensive force down low during the regular season as well, and although his offensive contributions may fluctuate from game to game, his work elsewhere on the stat sheet keeps him viable as the series shifts to Utah for Game 3 on Saturday night. News: Gordon tallied 16 points (6-11 FG, 3-6 3Pt, 1-1 FT), one rebound, two steals and one block across 30 minutes during the Rockets' 118-98 win over the Jazz in Game 2 of their Western Conference first-round playoff series Wednesday. Impact: Gordon was sharp for the second time in as many games to open the series. The veteran wing had also scored 17 points in Game 1, and he's now averaging 16.5 points on 52.3 percent shooting, including 55.0 percent from three-point range, in the first two contests against the Jazz. The 30-year-old will look to continue offering solid complementary contributions as the series shifts to Utah for Game 3 on Saturday night. News: Tucker produced 16 points (5-8 FG, 4-7 3Pt, 2-2 FT), four rebounds and two steals across 34 minutes during the Rockets' 118-98 win over the Jazz in Game 2 of their Western Conference first-round playoff series Wednesday. Impact: Tucker's offensive contributions were somewhat of a surprise, but they actually represented his second double-digit effort in as many games to open the series. The versatile veteran has been on a modest but productive offensive run dating back to the waning days of the regular season, as he also scored in double digits in two of the final three games of the campaign. The key to Tucker's success against Utah has been his long-distance accuracy, as he's drained 50.0 percent of his 14 attempts from behind the arc during the first two games of he series. News: Paul managed 17 points (5-11 FG, 1-6 3Pt, 6-6 FT), four rebounds, three assists, two steals and two blocks across 29 minutes during the Rockets' 118-98 win over the Jazz in Game 2 of their Western Conference first-round playoff series Wednesday. Impact: Paul's offensive numbers may have paled in comparison to those of backcourt mate's James Harden, but there's hardly shame in that. The veteran point guard offered strong complementary contributions, and he's now averaging 15.5 points (on 51.9 percent shooting), 5.0 assists, 3.5 rebounds, 1.5 blocks and 1.5 steals across 30.5 minutes across the first two games of the series. Paul has averaged 11.5 shot attempts over the first pair of contests against Utah, and he should remain that involved at minimum in Game 3 on Saturday night. News: Harden furnished 32 points (11-24 FG, 6-13 3Pt, 4-5 FT), 13 rebounds, 10 assists and one block across 33 minutes during the Rockets' 118-98 win over the Jazz in Game 2 of their Western Conference first-round playoff series Wednesday. Impact: The Beard was at it again, spearheading a second straight blowout win over the normally defensively stingy Jazz. It was the third career postseason triple-double for Harden, who collected 25 of his points in the first half and hit all six of his three-pointers on the night in a momentous first quarter. The MVP candidate is averaging 30.5 points on 44.1 percent shooting, including 43.1 percent from behind the arc, over the first two games of the series as it shifts to Utah for Game 3 on Saturday night. News: Faried managed 11 points (4-5 FG, 1-1 3Pt, 2-2 FT), and six rebounds in 16 minutes during Sunday's 122-90 victory over Utah. Impact: Faried saw a decent amount of playing time in Game 1 of the Rockets series against the Jazz, taking advantage of the blowout. He missed only one field-goal on his way to 11 points, adding six boards in 16 minutes. He will likely see less action if and when the games become closer but he has certainly been a solid pickup for the Rockets and has to be loving life after being out of the rotation in Brooklyn earlier in the season. News: Harden totaled 29 points (11-26 FG, 4-10 3Pt, 3-3 FT), 10 assists, eight rebounds, and one block in 33 minutes during Sunday's 122-90 victory over the Jazz. Impact: Harden picked up right where he left off after to regular season, dominating the Jazz despite the obvious defensive focus, albeit unorthodox. The Jazz were basically giving him a clear lane to the basket as opposed to allowing him to get in position for his patented step-back. He appeared untroubled as he finished with 29 points to go with 10 assists. He has been the clear number one player across all fantasy formats and is certainly in the running for his second consecutive MVP title. News: Capela finished with 16 points (8-13 FG), 12 rebounds, two assists, and one block in 32 minutes during Sunday's 122-90 victory over the Jazz. Impact: Capela took care of business Sunday, putting up a double-double in the Rockets comfortable victory over the Jazz. Capela had been struggling with an illness but was never really in any doubt and appeared unfazed during his time on the floor. Game 2 is not until Wednesday which means Capela will get some additional rest ensuring he is 100 percent. 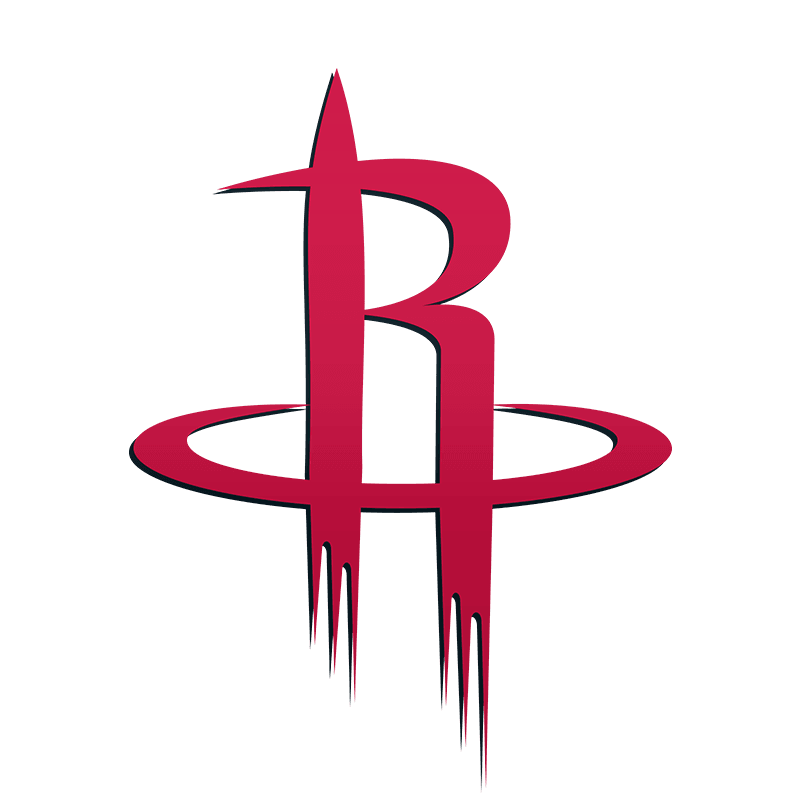 News: Capela (illness) will be available for Sunday's Game 1 against the Jazz, Jonathan Feigen of the Houston Chronicle reports. Impact: As expected, Capela will be ready for the start of the playoffs despite an upper respiratory infection. Against the Jazz this season, he's averaging 9.0 points, 12.0 rebounds and 3.0 blocks in 33.0 minutes. News: Capela did not participate in Friday's practice due to an upper respiratory infection but is still expected to lay in Sunday's Game 1 against the Jazz, Jonathan Feigen of the Houston Chronicle reports. Impact: It's not the best timing for Capela to come down with an illness, but it doesn't look it's serious enough for the big man to be hampered come Sunday. Expect Capela to be a full go for Game 1, but his status will still need to be confirmed. News: Paul produced 24 points (9-15 FG, 5-9 3Pt, 1-1 FT), eight rebounds, six assists, and one steal in 34 minutes during Tuesday's 112-111 loss to Oklahoma City. Impact: Paul finished with 24 points including five triples as the Rockets lost a heartbreaker to the Thunder. The Rockets will be hoping to avoid the Warriors in the second round of the playoffs but certainly, have to be thrilled the Paul is healthy heading into the post-season. Paul has had himself a nice finish to the season after missing a large chunk of games due to injury. His draft stocks are likely to fall once again next season given his injury-prone tag. News: Capela ended with 18 points (8-10 FG, 2-4 FT), 10 rebounds, three assists, and three blocks in 36 minutes during Tuesday's 112-111 loss to the Thunder. Impact: Capela was strong in Tuesday's loss, ending the game with 18 points and 10 rebounds. He shot an impressive 8-of-10 from the field but could not help the Rockets get over the line in what was a very disappointing loss. They must now sit back and see what happens on Wednesday before preparing for the playoffs. The could finish anywhere from second to fourth, with the later likely signaling a second-round matchup with the Warriors. News: Harden finished with 39 points (11-28 FG, 5-15 3Pt, 12-13 FT), 10 rebounds, three assists, one steal, and one block in 37 minutes during Tuesday's 112-111 loss to the Thunder. Impact: Harden's one missed free-throw came with less than 10 seconds on the clock, allowing Paul George to nail a game-winning three-pointer at the other end. The loss means the Rockets remain half a game behind the Nuggets in a battle for the number two seed. A loss by the Nuggets on Wednesday would see the Rockets leapfrog them into the second seed. A victory for the Trail Blazers on Wednesday could see the Rockets fall to the four seed and an anticipated second-round matchup with the Warriors. News: Gordon totaled 26 points (9-14 FG, 8-13 3Pt), one rebound, and one steal in 24 minutes during Sunday's 149-113 win over the Suns. Impact: Gordon matched his career high in made threes, and he has sunk eight treys three times this season. While Gordon didn't do much else besides bury shots from beyond the arc, it was an extremely efficient performance for the veteran shooting guard. Moreover, with the second seed in the Western Conference still in reach for the Rockets, he's likely to remain highly aggressive during Tuesday's regular season finale versus the Thunder. News: Harden had 30 points (10-14 FG, 5-6 3Pt, 5-7 FT), 13 rebounds, nine assists, and two steals in 29 minutes during Sunday's 149-113 win over the Suns. Impact: Harden didn't do much missing in this one while falling just one dime shy of a triple-double in less than 30 minutes of action. With the second seed in the Western Conference still up for grabs, Harden is likely to be in his usual attack mode during Tuesday's regular season finale versus the Thunder. News: Capela racked up 22 points (7-9 FG, 8-10 FT), 13 rebounds, four assists, one steal, and one block in 25 minutes during Sunday's 149-113 win over the Suns. Impact: Capela cooked up his 44th double-double through 66 appearances, and he has already surpassed his previous career high in that category (42 double-doubles in 74 games last season). With the Rockets still vying for the second seed in the Western Conference, Capela can probably be expected to receive plenty of minutes during Tuesday's season finale versus the Thunder. News: House produced 13 points (5-7 FG, 3-4 3Pt), six rebounds, one assist, one steal, and one block in 22 minutes during Sunday's 149-113 win over the Suns. Impact: House had been listed as probable due to a bruised left knee and was ultimately cleared to take the court. He has posted at least 13 points in three of the last four games and continues to play his role to perfection since signing a deal for the rest of 2018-19 back in mid-March. With the Rockets still fighting for playoff positioning, House should be expected to earn at least 20 minutes (as per usual) during Tuesday's season finale versus the Thunder. News: House (knee) is available for Sunday's game against Phoenix. Impact: House was considered probable due to a bruised left knee, so it's unsurprising that he's been cleared to take the court. Sunday's matchup will likely serve as a tune-up game for the postseason for House, who's played a key role off the bench for Houston of late. He's averaging 9.5 points, 3.3 boards and 1.0 assist over his previous 10 contests. News: Frazier signed a contract with the Rockets on Saturday, Tim MacMahon of ESPN.com reports. Impact: Frazier, the G League's Most Improved Player this season, has been playing with the Rockets' affiliate, the Rio Grande Valley Vipers. He averaged 16.9 points, 5.5 rebounds and 3.4 assists. It's unlikely he makes a significant contribution for the team going forward, but could provide emergency depth. News: House is probable for Sunday's game against the Suns due to a left knee contusion, Mark Berman of Fox 26 Houston reports. Impact: House emerged from Friday's win over New York with knee soreness, and it's possible he sits out Sunday. If that's the case, Gerald Green, Iman Shumpert and Kenneth Faried are candidates to see more action. News: Paul scored 11 points (4-9 FG, 3-6 3Pt) while adding 10 assists, four rebounds and a steal in 24 minutes during Friday's 120-96 win over the Knicks. Impact: The Rockets' starters got rested in the fourth quarter, but Paul was still able to record his 18th double-double of the season, albeit barely. The veteran point guard has been alternating big scoring nights with less impressive efforts lately -- he's scored 18 or more points in four of his last eight games, and 11 points or less in the other four -- but even with James Harden running the show, the team may need more consistency from Paul to make a deep playoff run. News: Capela scored 12 points (5-7 FG, 2-4 FT) while adding 15 rebounds and a block in 24 minutes during Friday's 120-96 win over the Knicks. Impact: The Rockets' starters got rested in the fourth quarter, but Capela was still able to produce his second straight double-double and fifth in the last six games, while recording double-digit boards in the 15th straight contest. Capela's ability to control the glass and create second chances for James Harden could be key to the team's playoff success. News: Harden scored a game-high 26 points (8-21 FG, 5-13 3Pt, 5-5 FT) while adding eight rebounds, eight assists, a steal and a block in 29 minutes during Friday's 120-96 win over the Knicks. Impact: He likely could have posted much better numbers, but with the Rockets taking a 29-point lead into the half, Harden had no reason to keep his foot on the gas pedal. The NBA's scoring leader will have two more games to bolster his MVP case before the playoffs begin. News: Gordon produced 15 points (5-10 FG, 5-10 3Pt), an assist and a blocked shot across 31 minutes in Wednesday's 135 -103 win over the Clippers. Impact: All 10 of Gordon's shots came from beyond the arc on Wednesday, and he converted five of them on the way to yet another efficient score. Like the rest of the team, Gordon is also coming alive at the right time, averaging 17.3 points over his past four games. News: Capela recorded 24 points (11-17 FG, 2-4 FT), 15 rebounds, two blocks and an assist across 29 minutes in Wednesday's 135-103 win over the Clippers. Impact: Capela has now logged an impressive 41 double-doubles for the season and currently ranks a somewhat surprising fifth in the league with 12.9 rebounds per game. With Chris Paul and James Harden running the show, it's easy to overlook how vital Capela is to Houston on both sides of the ball. With so many dominant centers in the West, Capela will need to be at the top of his game as the Rockets head into the playoffs. News: Paul totaled 29 points (10-19 FG, 5-8 3Pt, 4-4 FT) seven assists, four rebounds, a steal and a blocked shot across 27 minutes in Wednesday's135-103 win over the Clippers. Impact: Paul's shot was on point on Wednesday, converting over 50 percent of his shots to go along with five threes. When Both James Harden and Paul are dialed in, this offensive powerhouse is difficult to beat, and the duo is coming alive at the perfect time. News: Harden turned in 31 points (9-15 FG, 3-7 3Pt, 10-12 FT), seven rebounds and seven assists across 30 minutes in Wednesday's 135-103 win over the Clippers. Impact: Harden and the Rockets are already dialed into playoff mode, and Wednesday's contest was a probable preview of their first-round matchup. Both Harden and Chris Paul effectively dismantled one of the league's hottest teams in convincing fashion. One should expect some load management in effect as Houston prepares for the playoffs, and Harden's totals will likely be affected a bit in the final week. News: Shumpert is out for rest purposes Wednesday against the Clippers, Tim MacMahon of ESPN.com reports. Impact: Shumpert will rest for the second game of a back-to-back. Look for Gerald Green to see an increase in run in Shumpert's absence. News: Green (thigh) is off the injury report for Wednesday's game against the Clippers, Alykhan Bijani of The Athletic reports. Impact: Green will make his return from a five-game absence Wednesday due to a strained left thigh. In March, he averaged 7.5 points and 2.2 rebounds in 16.1 minutes. News: House totaled 19 points (7-14 FG, 4-10 3Pt, 1-2 FT), two assists, and one rebound in 29 minutes during Tuesday's 130-105 victory over Sacramento. Impact: House had his highest scoring game in almost two weeks Tuesday, finishing with 19 points including four triples. Prior to this game, he had scored a combined three points in his last two games and so relying on him for consistent production is clearly fraught with danger. He is more of a three-point streaming option but does tend to score in bunches. News: Faried ended with 12 points (5-6 FG, 1-2 3Pt, 1-2 FT), 11 rebounds, one assist, and one steal in 21 minutes during Tuesday's 130-105 victory over the Kings. Impact: Faried returned after missing three straight games with a knee injury, recording 12 points and 11 rebounds in 21 minutes. It was initially thought Faried would miss Tuesday's game to ensure his availability for Wednesday. Surprisingly, Faried was in action and rewarded those owners who may have streamed him in. Given the reports, there is a decent chance he misses Wednesday's game against the Clippers with Nene likely to replace him in the lineup. News: Harden finished with 36 points (12-19 FG, 7-12 3Pt, 5-6 FT), 10 assists, three rebounds, and one steal in 29 minutes during Tuesday's 130-105 victory over the Kings. Impact: Harden put up another monster line Tuesday despite the game being over by halftime. There is nothing else to say about Harden's production this season and he has clearly been the number one player in all fantasy formats. The Rockets will back up Wednesday against the Clippers and although nothing has been mentioned regarding rest, owners should just keep an eye on the injury report prior to tipoff. News: Green (thigh) is out Tuesday against the Kings, Alykhan Bijani of The Athletic reports. Impact: A left adductor strain will keep Green out for a fifth straight contest. His next chance to play arrives Wednesday against the Clippers. News: Green (thigh) is questionable for Tuesday's game against the Kings. Impact: Green has been out over the past four games, but he may be able to make his return. He'll likely opt to test things out in pregame warmups before a determination on his status is made. News: Faried (knee) is not expected to play Tuesday against the Kings, Adam Spolane of SportsRadio 610 in Houston reports. Impact: The Rockets have been rather vague regarding Faried's status, but coach Mike D'Antoni commented Monday that he expects to have Nene available Tuesday night, while Faried will be back for Wednesday's game against the Clippers. Neither player is listed on the team's official injury report, however. News: Harden (personal) did not take part in Monday's practice but is expected to play Tuesday against Sacramento, Mark Berman of Fox 26 in Houston reports. Impact: There doesn't look to be much reason for concern here, but Harden's status is worth monitoring heading into Tuesday, which is the first night of a back-to-back. The MVP candidate is coming off of a 50-point, 11-rebound, 10-assist triple-double in Saturday's win over the Kings -- his ninth 50-point game of the season. News: Clark was assigned to the G League's Rio Grande Valley Vipers on Friday, Jonathan Feigen of the Houston Chronicle reports. Impact: With the Vipers in the Western Conference semifinals of the G League playoffs Friday, Clark will join the team and likely see some extended in-game action. Clark has been a limited member of the team's rotation recently, so he will likely play in all of the Vipers' playoff games until season's end. News: Gordon finished with 18 points (7-11 FG, 4-6 3Pt) and one rebound across 27 minutes in the Rockets' win over the Nuggets on Thursday. Impact: He bounced back nicely from his zero-point dud on Tuesday, and Gordon nailed four triples en route to a solid 18-point scoring effort in Thursday's win. Prior to Tuesday, Gordon had averaged a ridiculous 4.5 made three-pointers per game in his last 11 contests. He's not good for much more than scoring, but he shoots at a high clip and takes a healthy amount of shots on a nightly basis. News: Harden totaled 38 points (10-22 FG, 5-11 3Pt, 13-14 FT), six rebounds, six assists, one steal and a block across 32 minutes in the Rockets' win over the Nuggets on Thursday. Impact: Harden dazzled with another huge offensive night in Thursday's win, scoring a game-high 38 points and leading the Rockets to a crucial Western Conference win. Harden continues to make a strong case for MVP thanks in large part to his brilliant scoring. With a home-and-home against the fast-paced Kings over the next two games, Harden will surely get his share of shots. News: Rivers finished with 15 points (6-10 FG, 3-7 3Pt, 0-1 FT), three assists, one rebound, one steal and one block across 29 minutes in the Rockets' win over the Nuggets on Thursday. Impact: Rivers had an efficient shooting night, going 60.0 percent from the floor and knocking down a trio of threes en route to scoring 15 points. It was just his second double-digit scoring effort in his last 12 games, and Rivers can't be considered much more than a cheap, matchup-based daily flyer. News: Capela totaled 17 points (8-13 FG, 1-2 FT), 15 rebounds, one assist, one steal and one block across 29 minutes in the Rockets' win over the Nuggets on Thursday. Impact: Capela had a huge double-double in Thursday's win, as he continues to put up big numbers. Capela has been rolling as of late, racking up averages of 15.3 points, 13.0 rebounds and 2.0 assists over his last six games. With prime matchups against the Kings, Clippers and Knicks on the horizon, it's unlikely Capela slows down his production anytime soon. News: According to coach Mike D'Antoni, Faried (knee) will be out until the middle of next week, Mark Berman of Fox 26 Houston reports. Impact: Left knee soreness continues to bother Faried. The expectation is that he'll be sidelined until at least Tuesday's contest against the Kings, but the absence could extend longer. News: Gordon (undisclosed) will play Thursday against the Nuggets, Craig Ackerman of AT&T SportsNet Southwest reports. Impact: As expected, Gordon will take the floor Thursday. In 12 March appearances, he's averaging 16.7 points, 1.8 assists and 1.7 rebounds in 30.4 minutes. News: Faried (knee) is out Thursday against the Nuggets, Salman Ali of USA Today Sports reports. Impact: Faried's left knee soreness will keep him out for a second straight contest. His next chance to play arrives Saturday against the Kings. News: Gordon is probable for Thursday's game against the Nuggets, Salman Ali of USA Today Sports reports. Impact: It's not immediately clear what Gordon is dealing with, but it's apparently minor. It's possible his availability will be cleared up following Thursday's morning shootaround. News: Shumpert supplied six points (2-6 FG, 2-5 3Pt), three rebounds, one steal, and one block in 16 minutes during Tuesday's 108-94 loss to the Bucks. Impact: Shumpert continues to earn less playing time than several reserves on most nights, including Danuel House and Austin Rivers. Still, the absence of Gerald Green (shoulder), who is expected to be sidelined for about a week, opens up a bit more playing time that Shumpert could potentially soak up short-term. News: Rivers totaled five points (2-6 FG, 1-2 3Pt), two rebounds, and one steal in 20 minutes during Tuesday's 108-94 loss to the Bucks. Impact: Rivers was quiet, scoring in single digits for the ninth straight tilt. Moreover, with James Harden and Chris Paul creating the vast majority of looks for the team offensively, Rivers isn't contributing in the assist column much either. As a result, he's currently only worthy of consideration in very deep leagues. News: Capela provided 17 points (8-11 FG, 1-1 FT), 11 rebounds, two assists, two blocks, and one steal in 36 minutes during Tuesday's 108-94 loss to the Bucks. Impact: Capela was efficient offensively while contributing across every category except threes. The 24-year-old center is up to 39 double-doubles through 60 appearances this season, this after collecting a career-high 42 double-doubles in 74 games during 2017-18. With seven games left in the regular season, Capela is on pace to break that mark if all goes well to close out the campaign. News: Gordon had zero points (0-7 FG, 0-5 3Pt), one rebound, and one assist in 23 minutes during Tuesday's 108-94 loss to the Bucks. Impact: Gordon finished with more turnovers (three) than anything else (except misses). It's likely that the ankle injury that had his status in question earlier played a part in this awful performance. Moreover, fantasy owners may want to confirm Gordon's availability prior to Thursday's matchup with the Nuggets. News: Gordon (ankle) is available Tuesday against the Bucks, Jonathan Feigen of the Houston Chronicle reports. Impact: As expected, Gordon will play through some pain stemming from a sprained right ankle. Since the beginning of March, he's averaging 18.2 points, 1.8 assists and 1.7 rebounds in 31.1 minutes. News: Duval has been claimed off waivers by the Rockets, Kelly Iko of The Athletic reports. Impact: Duval was waived by the Bucks on Sunday after failing to make much of an impact in the NBA or the G League. However, the Rockets seem interested in his upside. News: Faried will not play Tuesday against the Bucks due to a sore left knee, Mark Berman of Fox 26 in Houston reports. Impact: Faried has dealt with the issue on and off since joining the Rockets, but the team is likely just being cautious as the postseason approaches. Nene is expected to be active Tuesday, so he'll likely pick up some minutes at center behind Clint Capela. News: Gordon (ankle) has been upgraded to probable for Tuesday's game against Milwaukee, Mark Berman of Fox 26 in Houston reports. Impact: Gordon was initially deemed questionable, but after going through shootaround he's on course to take the floor Tuesday night. The veteran tweaked his ankle in Sunday's win over New Orleans but still managed 18 points on six three-pointers in just 21 minutes of action. News: Green (shoulder) may be out for 7-to-10 days, Jonathan Feigen of the Houston Chronicle reports. Impact: Green had already been ruled out for Tuesday's game in Milwaukee, but with this timetable, Green could miss another two or three games while nursing a strained left adductor. The Rockets' rotation won't be too heavily impacted by Green's absence, but it does likely mean even more minutes off the bench for Danuel House. News: Gordon is considered questionable for Tuesday's game against Milwaukee due to a sprained right ankle, Mark Berman of Fox 26 in Houston reports. Impact: Gordon suffered the injury during Sunday's game against the Pelicans, in which he was limited to just 21 minutes. He still managed 18 points on six three-pointers in that contest, but the Rockets will now monitor his status as Tuesday's shootaround approaches. News: Green will not play Tuesday against the Bucks due to a strained left adductor, Jonathan Feigen of the Houston Chronicle reports. Impact: Green apparently picked up the injury during Friday's win over San Antonio, and the Rockets will likely handle his status on a game-to-game basis going forward. The veteran had been averaging 16.4 minutes per game over his last 10 contests. News: House had 14 points (5-6 FG, 4-5 3Pt), six rebounds, and one steal in 30 minutes during Sunday's 113-90 win over the Pelicans. Impact: House has reached double figures in seven of his last nine appearances, and he has also drained at least three treys in seven of the last nine as well. The 25-year-old forward is proving to be a very valuable wing player for the Rockets, and he even earned a team-high minute total in this blowout victory. News: Faried racked up 11 points (5-9 FG, 0-1 3Pt, 1-2 FT), 11 rebounds, two blocks, and one assist in 24 minutes during Sunday's 113-90 win over the Pelicans. Impact: Faried logged his 12th double-double through 22 appearances with the Rockets, bringing his season total to 14 through 34 games in 2018-19. The last time Faried accumulated at least that many double-doubles was back in 2015-16 (21 in 67 games), so it's safe to say his career has been revitalized since arriving in Houston. News: Gordon produced 18 points (6-12 FG, 6-11 3Pt), two assists, two blocks, and one steal in 21 minutes during Sunday's 113-90 win over the Pelicans. Impact: Gordon was dynamite from beyond the arc, torching his old team despite seeing limited minutes in the lopsided victory. With the Rockets still fighting for home-court advantage in the first round of the playoffs, Gordon and the rest of the regulars can be expected to see a full load of minutes during Tuesday's tilt versus the Bucks. News: Paul pitched in 10 points (4-12 FG, 1-7 3Pt, 1-1 FT), 13 assists, five steals, and three rebounds in 27 minutes during Sunday's 113-90 win over the Pelicans. Impact: Paul was inefficient as a scorer but posted a double-double and snagged at least five steals for the third time through 51 appearances this season. He has already recorded more double-doubles here in 2018-19 (18) than he did in 58 tilts last season (14), but these are still by far the two lowest totals of his entire career. News: Clark was recalled from the G League on Sunday, Jonathan Feigen of the Houston Chronicle reports. Impact: Clark was sent down to play with the Vipers in Saturday's regular season finale, but he's now back with the NBA club for Sunday's game in New Orleans. Clark has not been a part of Houston's regular rotation. News: Hartenstein (Achilles) won't play in Sunday's game against the Pelicans, Alykhan Bijani of The Athletic reports. Impact: Hartenstein will miss his 18th-straight game Sunday due to an Achilles injury. Despite Hartenstein continuing to be listed as day-to-day, he doesn't appear to be close to returning as not definite timetable has been supplied by the Rockets. News: Paul finished with 18 points (7-15 FG, 0-3 3 Pt, 4-4 FT), five assists, three rebounds, one steal and one block over 34 minutes in the Rockets' win over the Spurs on Friday. Impact: Paul filled out the stat sheet in Friday's win, and it looks like the Rockets' guard is back to form after several big games in a row. Paul is usually a good bet for lofty assist totals and steals, but he can score when necessary. News: Capela totaled seven points (3-8 FG, 1-1 FT), 16 rebounds, four assists and a block over 32 minutes in the Rockets' win over the Spurs on Friday. Impact: Capela's double-double streak ended at seven games as he scored just seven points in Friday's win. Capela can more often than not make up for low-scoring efforts with his rebounding and defense, providing him a safe floor. He's averaging 12.4 rebounds and 1.6 blocks per game this season. News: Tucker finished with no points (0-3 FG, 0-3 3Pt), 10 rebounds, two assists and two blocks over 37 minutes in the Rockets' win over the Spurs on Friday. Impact: Tucker didn't record a single point in Friday's loss, missing all three of his shots. He did grab 10 boards and swat two shots, giving fantasy owners exactly what they expect from Tucker on a nightly basis - defense and rebounds. His lack of scoring caps his upside tremendously, and Tucker is not a player who can be used consistently in standard leagues. News: Harden amassed 61 points (19-34 FG, 9-13 3Pt, 14-17 FT), seven rebounds, three steals and an assist over 37 minutes in the Rockets' win over the Spurs on Friday. Impact: Harden exploded for 61 points in Friday's win, nailing nine threes, sinking 14 free-throws and tying a career-high in points. Harden continues to raise his scoring average with enormous games like this one, and he's played himself into historic territory. His 36.1 points per game pace would rank seventh all time in NBA history and would be the most since 1986-1987 when Michael Jordan averaged 37.1. News: Faried (knee) will play Friday against the Spurs, Salman Ali of ESPN 97.5 Houston reports. Impact: As expected, Faried will play after missing two of the past three games. Across his past four appearances, he's averaging 9.0 points and 5.5 rebounds in 17.3 minutes. News: Hilario (rest) will be available for Friday's game against the Spurs, Alykhan Bijani of The Athletic reports. Impact: With back-to-back games Tuesday and Wednesday, the veteran center was left on the sideline to rest. He will now be available off the bench Friday night, where he will likely play his usual limited role. News: Chiozza will sign a contract with the Rockets for the remainder of the season, Adam Johnson of 2Ways10Days.com reports. Impact: The Rockets signed Chiozza to a 10-day contract a few weeks ago but parted ways with the former Florida standout after it expired. Now, Houston will bring on the point guard for the rest of the season, but he will not be playoff-eligible. Chiozza is yet to make his NBA debut. News: Faried (knee) is considered probable for Friday's game against San Antonio, Jonathan Feigen of the Houston Chronicle reports. Impact: Faried missed Wednesday's game with soreness in his left knee, but he's trending in the right direction as Friday's contest nears. Expect the energetic big man to step back into his role as a backup to Clint Capela. News: Capela scored 14 points (5-7 FG, 4-4 FT) while adding 10 rebounds, three assists and a steal in 43 minutes during Wednesday's 126-125 overtime loss to the Grizzlies. Impact: The big man has reeled off seven straight double-doubles, averaging 17.6 points and 12.1 boards over that stretch, although his contributions in other categories have been minimal. Capela seems poised for a big finish to the season as the Rockets try to hang on to the third seed in the Western Conference. News: Harden scored a game-high 57 points (18-39 FG, 9-17 3Pt, 12-12 FT) while adding eight assists, seven rebounds, two steals and two blocks in 46 minutes during Wednesday's 126-125 overtime loss to the Grizzlies. Impact: Unfortunately for the Rockets, Harden's huge night got wasted when only two of his teammates managed to score in double digits. He's running away with the league scoring title -- Harden's 36.1 PPG is almost eight points better than Paul George in second place -- and only an equally fabulous season from Giannis Antetokounmpo and the Bucks would seem to stand between the Houston superstar and another MVP award. News: Faried (knee) will not play Wednesday against the Grizzlies, Jonathan Feigen of the Houston Chronicle reports. Impact: Faried entered the day questionable, and the Rockets will hold him out as he deals with soreness in his left knee. Houston will be a bit shorthanded up front, though veteran Nene will be available on an emergency basis, should it come to that. News: Shumpert will start Wednesday against the Grizzlies, Jonathan Feigen of the Houston Chronicle reports. Impact: With Eric Gordon (rest) out, Shumpert will draw the start. On the decision to give Shumpert the nod over Danuel House, coach Mike D'Antoni noted that House needs to play longer minutes at the four with P.J. Tucker playing backup center due to Kenneth Farried's (knee) absence. News: Faried is questionable for Wednesday's matchup against the Grizzlies due to left knee soreness, Alykhan Bijani of The Athletic reports. Impact: Faried has emerged from Tuesday's win over the Hawks with some knee soreness. He'll likely opt to test things out pregame before determining if he'll take the court Wednesday. News: Paul scored 13 points (4-10 FG, 2-6 3Pt, 3-4 FT) while adding 11 assists, three steals and a rebound in 29 minutes during Tuesday's 121-105 win over the Hawks. Impact: It's his second straight double-double, and the veteran point guard seems to be finding a rhythm alongside James Harden after missing nearly half the season to injury. Paul is now averaging 13.1 points, 8.4 assists, 5.3 boards, 2.1 three-pointers and 1.6 steals through eight games in March. News: Capela scored 26 points (11-13 FG, 4-8 FT) while adding 11 rebounds, an assist and a steal in 27 minutes during Tuesday's 121-105 win over the Hawks. Impact: It's his sixth straight double-double and 37th of the season, and his best scoring performance since Jan. 7. Injuries have been the only thing to slow Capela down this year, and he seems ready to put together a big finish as the Rockets gear up for the playoffs. News: Harden scored a game-high 31 points (8-18 FG, 4-11 3Pt, 11-12 FT) while adding 10 assists, eight rebounds, a steal and a block in 33 minutes during Tuesday's 121-105 win over the Hawks. Impact: It's his fifth straight double-double, all featuring assists, as Harden tries to keep the Rockets in the third seed in the Western Conference. The perennial MVP candidate is averaging 30.8 points, 7.7 dimes, 5.7 boards, 3.4 three-pointers and 2.3 steals through nine games in March. News: Gordon will play Tuesday night against the Hawks, but he's expected to sit out Wednesday's game against Memphis, Jonathan Feigen of the Houston Chronicle reports. Impact: All indications are that Gordon is healthy, as he's started the last eight games, but the Rockets will exercise a bit of caution as they enter a back-to-back set. After Wednesday, Houston has only one remaining back-to-back the rest of the way. News: Shumpert will not play Tuesday at Atlanta due to rest, Jonathan Feigen of the Houston Chronicle reports. Impact: With the Rockets starting their back-to-back games Tuesday and Wednesday, the team has decided to rest Shumpert for Tuesday's matchup but the former first-round pick will likely be back in time for Wednesday's date at Memphis. Gerald Green is a probable candidate to fill in off the bench for the absence of Shumpert on Tuesday. News: Hilario will sit out Tuesday's game at Atlanta and Wednesday's matchup at Memphis to rest, Jonathan Feigen of the Houston Chronicle reports. News: Paul produced 25 points (8-12 FG, 6-7 3Pt, 3-3 FT), 10 assists, seven rebounds, and one steal in 29 minutes during Sunday's 117-102 victory over Minnesota. Impact: Paul returned after missing the previous game due to rest, hitting six triples on his way to a game-high 25 points. Paul is hitting his straps at the right end of the season and has the Rockets poised to go deep into the playoffs. He may still incur the odd rest day down the stretch but all signs are pointing to him putting up big numbers as long as he can remain healthy. News: Capela totaled 20 points (8-11 FG, 4-5 FT), 13 rebounds, two blocks, and one steal in 30 minutes during Sunday's 117-102 victory over the Timberwolves. Impact: Capela had his fifth straight double-double Sunday, battling Karl-Anthony Towns in what was a classic matchup. Capela is slowly starting to get things going again after struggling through his first few games post-injury. He has shot at least 67 percent in six consecutive games but is yet to reach his full potential in terms of blocked shots. News: Harden finished with 20 points (8-24 FG, 4-12 3Pt), 10 assists, two rebounds, and one steal in 32 minutes during Sunday's 117-102 victory over the Timberwolves. Impact: Harden finished Sunday's win with 20 points and 10 assists in 32 minutes, appearing unfazed by his ongoing neck concern. The injury doesn't appear too serious although it could be something that costs him a game or two before the season is done. He was not required down the stretch with the game well in control. The Rockets travel to Atlanta to face the Hawks on Tuesday and we would consider Harden probable for that one. News: Harden (neck) will play in Sunday's game against the Timberwolves, Jonathan Feigen of the Houston Chronicle reports. Impact: As expected, Harden has been cleared to play Sunday after being listed as questionable with a cervical strain. There's been no report of the MVP candidate facing any limitations, so expect him to be a full go. News: Head coach Mike D'Antoni said thinks Harden (neck) will play in Sunday's game against the Timberwolves, Alykhan Bijani of The Athletic reports. Impact: Harden is officially listed as questionable for Sunday's game due to a cervical strain, but it looks like it isn't serious enough to keep him sidelined. Look for Harden's status to be confirmed shortly along with any details regarding potential limitations. News: Hartenstein (Achilles) has been ruled out of Sunday's game against the Timberwolves, Alykhan Bijani of The Athletic reports. Impact: Hartenstein hasn't appeared in over a month, with his last appearance coming on Feb. 11. He should be considered questionable for their next game, Tuesday against Atlanta. News: Harden is listed as questionable for Sunday's tilt with Minnesota due to a cervical strain, Jonathan Feigen of the Houston Chronicle reports. Impact: Harden appears to have picked up the injury during Friday's win over the Suns. The injury doesn't appear to be overly serious, but if Harden's unable to go, look for IMan Shumpert and Eric Gordon to see a boost in minutes. Impact: An uprising move, Clark appeared in just eight minutes across five games during since being recalled March 7th. The rookie forward's averaging 12.4 points, 6.2 rebounds and 2.8 assists in five G-League games this season. News: House will come off the bench Sunday against the Timberwolves, Alykhan Bijani of The Athletic reports. Impact: House drew the start Friday against the Suns due to the absence of Chris Paul (rest). However, with Paul back in the lineup Sunday, House will come off the pine. News: Paul (rest) will play Sunday against the Timberwolves, Alykhan Bijani of The Athletic reports. Impact: As expected, Paul will return to the starting five after sitting out Friday's game against the Suns for rest. Eric Gordon will remain in the lineup, while Danuel House shifts to the bench. News: Harden exploded for 41 points (12-25 FG, 3-11 3Pt, 14-17 FT), 11 assists, nine rebounds, six steals, and three blocks in 42 minutes during Friday's 108-102 win over the Suns. Impact: Harden matched his season high in steals, swiping six for the third time here in 2018-19. He has also swatted at least three blocks three times now this season while taking his scoring to another level. The absence of Chris Paul (rest) forced Harden to take complete command of the club in this one, and unsurprisingly he did not disappoint, dominating the lowly Suns on both ends. News: Tucker totaled zero points (0-3 FG, 0-3 3Pt), five rebounds, and five steals in 32 minutes during Friday's 108-102 win over the Suns. Impact: Tucker snagged at least five steals for the fourth time this season, though this was also his fourth scoreless showing here in 2018-19. The 33-year-old forward hasn't reached double figures in scoring once across the last eight contests, and he's best reserved for use in deeper leagues. News: House recorded 18 points (6-11 FG, 4-8 3Pt, 2-2 FT), three rebounds, and one steal in 35 minutes during Friday's 108-102 win over the Suns. Impact: House matched career highs in scoring and made threes in this his first appearance since Jan. 14. He has now reached double figures in four consecutive contests, with Chris Paul's absence for rest purposes allowing House to slot into the starting five for this one. News: Hilario (DNP-Coach's Decision) did not see the court in Friday's 108-102 win over the Suns. Impact: Hilario wasn't on the injury report after missing the last two tilts for rest purposes. Starting big man Clint Capela recorded a double-double in 33 minutes while Kenneth Faried received the remaining 15 minutes at center. As long as those two remain healthy, the 36-year-old Hilario can likely be avoided across all fantasy formats. News: House will enter the starting lineup for Friday's game against Phoenix, Craig Ackerman of AT&T SportsNet Southwest reports. Impact: With Chris Paul set to get the night off, the Rockets will insert House into the starting lineup. He hasn't seen NBA action since Jan. 14, but put up 14.3 ppg in his previous three starts with the Rockets. News: Paul will not play in Friday's game against the Suns due to rest purposes, Alykhan Bijani of The Athletic reports. Impact: While Paul did have a day of rest after he played 33 minutes in Wednesday's loss to the Warriors, the Rockets will take advantage of a stand alone game against the lowly Suns and give the veteran a night off. With Paul out of the lineup, James Harden will likely take over primary point guard duties while Austin Rivers is in line to enter the starting lineup. News: Hilario (rest) isn't on the injury report for Friday's game against Phoenix. Impact: Hilario was held out of the last two contests for rest purposes, but it appears he'll be ready to roll Friday night. The big man hasn't contributed much of late, averaging 2.6 points and 3.2 rebounds in his previous five matchups off the bench. News: Faried totaled three points (1-2 FG, 0-1 3Pt, 1-2 FT) and three rebounds in 13 minutes during Wednesday's 106-104 loss to the Warriors. Impact: Faried was essentially a non-factor, this after posting 16 points (5-10 FG, 0-1 3Pt, 6-6 FT), nine boards, one steal, and one block in 20 minutes during Monday's win over the Hornets. Despite recently missing five games with a hip injury, the 29-year-old big man has actually maintained decent value since the return of Clint Capela, though Faried is likely best reserved for use in deep leagues. News: Shumpert supplied four points (2-6 FG, 0-3 3Pt), three rebounds, one assist, one steal, and one block in 14 minutes during Wednesday's 106-104 loss to the Warriors. Impact: Shumpert played sparingly as per usual, and he's yet to reach double figures in scoring through nine games with the Rockets. His role has been reduced considerably after he started 40 of 42 games with the Kings, as he averaged 26.2 minutes per night in Sacramento compared to 16.1 thus far in Houston.